One of President Donald Trump’s associates had some good news yesterday. Felix Sater, the subject of a recent in-depth piece by WhoWhatWhy, had a tax fraud claim against him tossed out of court. Following a brief oral argument, Manhattan state court judge Justice Charles E. Ramos dismissed the $70-million tax fraud claim against Sater. Sater is in the crosshairs of Special Counsel Robert Mueller because of his extensive ties to Trump, and to organized crime in both Russia and the US. The dismissed lawsuit was one of several that Sater and two New York lawyers, Frederick Oberlander and Richard Lerner, have brought against each other since 2010. That’s when Oberlander filed a lawsuit against Sater and his investment company, Bayrock Group. Oberlander and Lerner claimed Bayrock was a racketeering enterprise that engaged in money laundering, tax fraud and other criminality. The action dismissed by Justice Ramos was brought under a New York law that allows private citizens to litigate to recover money owed to the state, and rewards them by allowing them to retain a portion of the recovered funds. In legal parlance such lawsuits are known as “qui tam” actions. New York law allows for treble damages and interest, which brings the qui tam claim to a total of $250 million. Ramos threw out the lawsuit, accepting Sater and Bayrock’s argument that Oberlander had used documents stolen from Bayrock to mount his tax fraud claims. In his brief, Oberlander countered that a federal judge in another hearing of the seven-year legal battle had expressly said “I don’t believe I have ever ruled on” the question of whether the documents had been stolen. Sater and Bayrock parried that claim, pointing to the sworn deposition testimony of a Bayrock employee in a related federal lawsuit who had admitted he had stolen 175,000 documents from Bayrock and shared them with Oberlander. Robert Wolf, who represents Sater, said Ramos’ ruling was “an outright dismissal ‘on the merits,’” which is the “final nail in the coffin” of the lawsuit. Oberlander said it was “premature” to comment upon an appeal because no formal order had been entered yet. While the question of whether the documents were stolen is hotly contested, there is little doubt that Oberlander’s use of the them to bring the racketeering lawsuit in 2010 set off the battle. Sater had become a government informant after admitting to being a part of a pump-and-dump stock fraud that fleeced investors of $40 million. In exchange for his cooperation, the government agreed to seal his file. 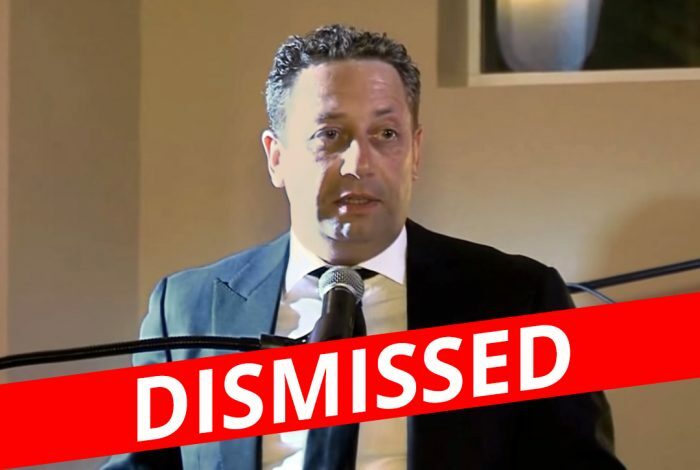 Oberlander filed the racketeering lawsuit in federal court in Manhattan, claiming that Sater had used the cover of keeping his prior record out of the public eye to orchestrate, through Bayrock, a $500 million real estate fraud. Involved in this fraud were projects with Trump’s real estate company, including the SoHo Hotel and condominiums in Denver, Phoenix and Fort Lauderdale. If Trump was aware of Sater’s criminal past, he could be charged as a part of the conspiracy claimed in the qui tam lawsuit. The ruling should have no impact upon Mueller’s investigation because the special prosecutor is examining Trump’s past financial dealings, not Sater’s.